A term that refers to a person who avidly pursues intellectual activities, technical endeavors and other obscure interests based on and around a style or quality of cooking, or a specific set of cooking traditions and practices. Said individual may have a tendency to develop “food crushes” on anything from cooking apps, cleverly designed packaging, trendy table settings, or meals with wheels. Kristin Guy is a Los Angeles based food & lifestyle expert with over a decade of experience working in the design and entertainment industries. With a New Media degree from UC San Diego, she has her finger on the pulse of all things social media and a love for new technology. Having spent most of her professional career working on some of the biggest brands at Disney and as a Creative Director for Warner Bros. Studios, Kristin has sharp attention to detail, great success in problem solving, the ability to manage multiple large-scale projects. Now dedicated to creating food-centric lifestyle content full time, Kristin has partnered with brands such as HGTV.com, Refinery 29, Eventbrite, Houzz and Better Homes & Gardens to produce exclusive articles and photography for readers all over the world. Author and online personality of quirky food destination TheCuisinerd.com, she is the go-to gal for killer recipes, of the minute restaurant recommendations, well-designed kitchen accessories and awesome food apps you should be downloading. She is a self-taught cook who knows how to create inspired meals and host the most delicious of parties. Kristin’s sense of humor, style and ability to forecast design trends has made her a standout in the food and lifestyle communities as a unique talent with a rapidly growing audience. Hiring for a super cool project? I can’t wait to roll up my sleeves! Send me awesome news! Want to advertise or talk sponsorship with The Cuisinerd!? Fabulous! Drop us a line! Are you a small shop with amazingly designed goods!? I can’t wait to see them…say hello! Got the collaboration bug?! Me too, let’s make magic. Let me know what you’re thinking! Promoting an event you’d like me to attend? I’ve got my passport ready! Holler at me! Just want a digital high five? Yes please – I love to meet you all. I just found your blog from Glitter & Ganache–and am hooked! 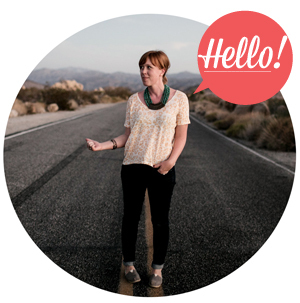 You’ve done a great job with the design of your blog and it is so personal simultaneously. I’m glad I found it! Hi, Just found your blog from Joy the Baker. Love your kumquat and cumin recipe.